In this world of globalization, we are extremely busy either to chase our dream or to relish it if we have already achieved it. It is practically impossible to actually clean your home or furniture under such circumstances. But at the same time it is equally embarrassing and unhygienic to let the premises remain dirty. Hence came in the term commercial cleaning or rather the purpose of cleaning being commercialized. 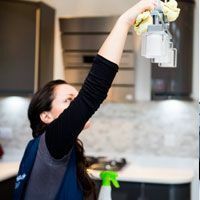 This is a broad term utilized by cleaning firms who earn by being contracted by individuals or business corporations to undergo cleaning work on premises which are otherwise tedious and unmanageable at times. 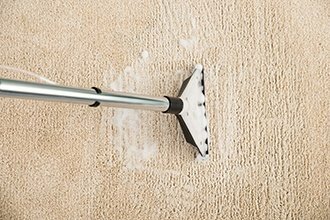 Cleaning companies can be spotted almost in every town, though more in affluent areas. Be it your window sill or the passage leading to the balcony or to wade off the spider’s web, our cleaning company is at your service, and much more than that. Contract cleaning to domestic cleaning, we have not kept any stones unturned. Cheap, affordable yet elegant cleaning services at your door step are provided by our cleaners. Based in Newham, London, our company has earned its reputation since long by its service and affordability only. We aim to provide our customers with cleaning services that are professional and attach good value to the money. Better than employing service personnel to take care of your end of tenancy cleaning purposes, we are ready to ensure better cleaning, affordability and of course the surety of service. Be it cleaning household articles and gadgets, this firm pays utmost attention to customer satisfaction. Even the outer glass panes of skyscrapers are glazed off by our trained professionals, providing a perfect sparkle to your building. Equipped with professional cleaning machinery and skilled labours, we cover all areas of London and allow you to have a clean space. 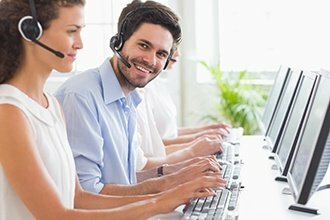 To know more and talk to our customer service representative, you can directly phone us on 020 3322 7006. We can also modify our cleaning services and cleaning prices to suit your needs and budget. I just wanted to tell you that Petya has been doing a fantastic job and we’ve been very happy with her. I just got home and the flat is immaculate. She does everything we ask for and even more if she has time. I would recommend her and Fast Cleaners Newham to anyone looking for a cleaner. I am very happy with the cleaner that came to my house yesterday. Teodora did a fantastic job at the house. I am extremely happy with your services and will continue to refer your company to friends and family. Thank you! My wife and I are very happy with the regular cleaner that has been coming to our house on a weekly basis. She is very efficient and hard working. I would be happy to try out your one off services as well in the near future.